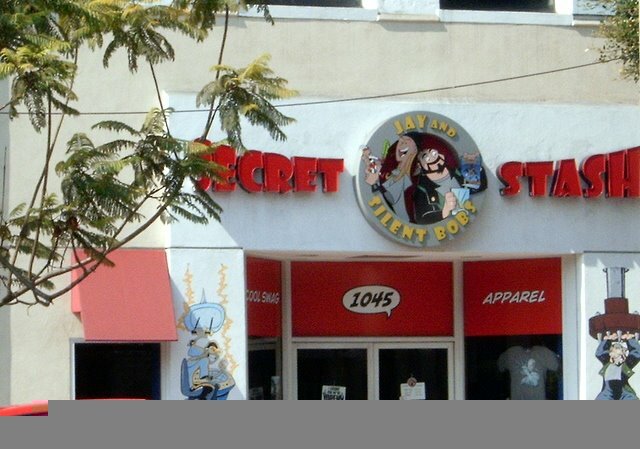 During a trip to New Jersey a couple of years ago, I attempted to go to Jay and Silent Bob's Secret Stash, Kevin Smith's comic book store. Arriving after 6 pm, I found the store closed. Looking through the archives, I apparently found the experience so depressing, I failed to blog about it. 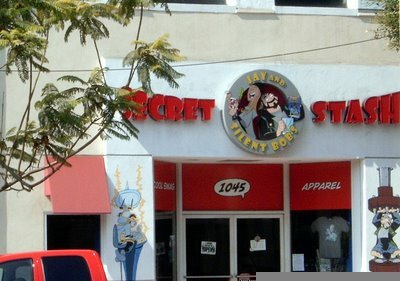 Well, here I am in California, and on my way to the conference, I drove past the West Coast location of the Stash. This time, I made it there while the place was open. I guess I expected a wider selection of comic books from Kevin Smith. If you want to get action figures, stuff signed by Kevin Smith, or Kevin Smith souvenirs, however, this is the place to go. I post this mostly as an excuse to display the pictures of the two locations. I'll let you guess which is which. Apologies to those of you on the mailing list, if you haven't been receiving updates. I've been having problems with my web host, or Blogger, or the interaction between the two...I'm not sure. 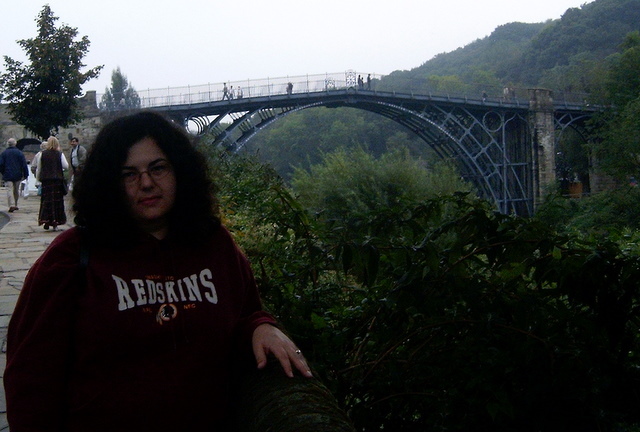 In our continuing quest to visit World Heritage sites, we went to the Ironbridge Gorge, one of the birthplaces of the Industrial Revolution. It's home to the world's first -- you guessed it -- iron bridge. 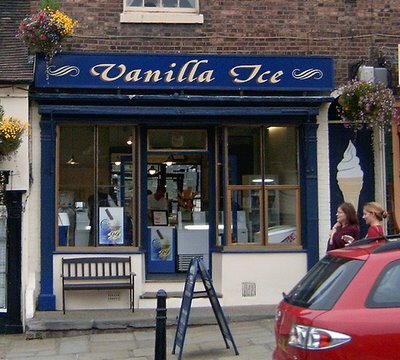 After visiting the Ironbridge Gorge Museum, we walked to the bridge and grabbed some ice cream.